British Airways is to paint four of its aircraft to celebrate its centenary. The first to be given the makeover is be a Boeing 747, which has received the British Overseas Airways Corporation (BOAC) design, originally used between 1964 and 1974 . 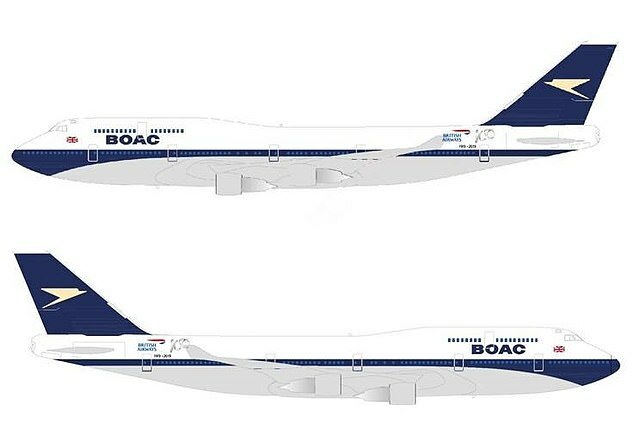 The BOAC design will remain on the Boeing 747 until the aircraft is taken out of service in 2023. British Airways hinted that there could be more retro designs to come as part of its 100th birthday celebrations this year but details of the other planes to be painted are yet to be revealed.